The morning Denise and James Closs were shot dead in their Wisconsin home, someone dialed 911 from Denise Closs' cellphone. A 911 dispatcher heard "a lot of yelling" in the call, which came in just before 1 a.m. Monday, according to sheriff's department records. The dispatcher called back but was unable to leave a voicemail. More attempts were made. The phone went unanswered. Officials also tried to reach the home's landline but it was disconnected, according to Barorn County Sheriff's Department records obtained by ABC News Friday. When authorities responded to the home in Barron, they found the door kicked in, records showed. Denise Closs' husband, James Closs, had answered the door. Multiple rounds were fired and the couple was found shot dead. 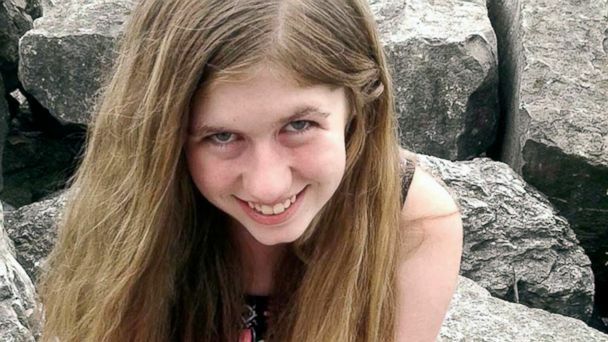 Their 13-year-old daughter, Jayme Closs, was believed to be home at the time of the killings but had been abducted by the time police arrived minutes later, according to authorities. Friday marks the fifth day of the desperate search for the girl who authorities say is in danger. Since Monday authorities have received over 1,000 tips and conducted hundreds of interviews in the search for Jayme, Barron County Sheriff Chris Fitzgerald said Friday. The sheriff is also asking the public for information about her family. "We are hopeful to learn more about the Closs family to help bring Jayme home," Barron County Sheriff Chris Fitzgerald said in a statement. "If you spent time with members of the Closs family recently, or if you have ever had a misunderstanding with members of the Closs family, or know someone who has, please call the tipline." It's unclear if the attack was random or targeted, the sheriff said. The sheriff also said he's encouraging people to recall if their friends or family changed behavior earlier in the week, saying, "People may act differently shortly after committing a violent act." Fitzgerald said the public should be mindful of someone who missed work suddenly; missed scheduled appointments; suddenly left town without a reasonable explanation; changed appearance; is acting anxious, nervous, or irritable; or is paying an unusual amount of interest -- either too much or too little -- to the progress of the Closs investigation. An Amber Alert has been issued for Jayme. Anyone with information is asked to the tip line at 855-744-3879.